Despite saying that I kept it simple and went with one of the little alien dudes from "The Claw" machine. 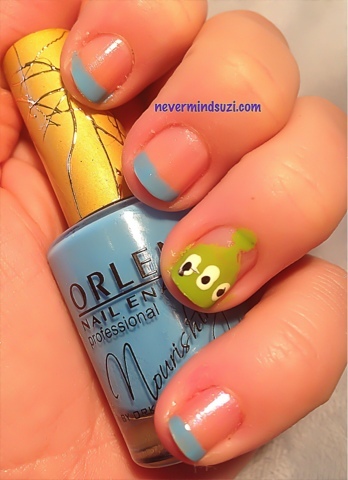 I like this cuz I kept it simple with the coloured French tips and little alien dude accent nail. Ahaha this is so cute, it's amazing! 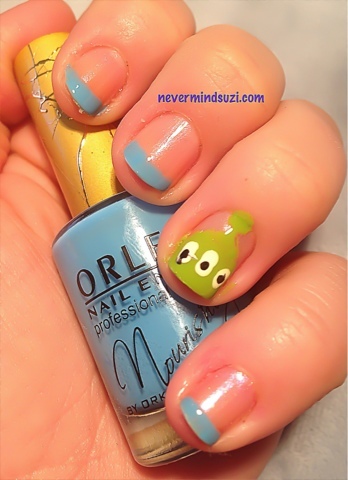 Loving all your Disney Nail Art Challenges, I'm gutted I missed it! :( Booo! This is great! The claw....the claw! !